A majority of Americans hold Donald Trump and congressional Republicans mainly responsible for the partial federal shutdown, now the longest in history, according to a new ABC News/Washington Post poll. 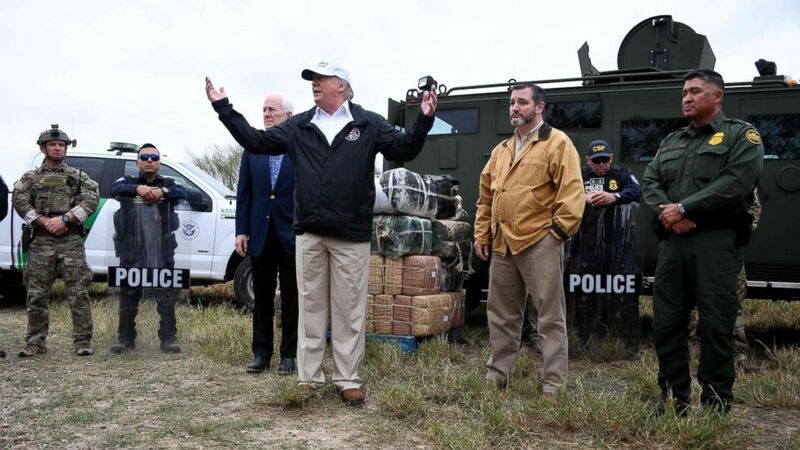 (Jim Watson/AFP/Getty Images) President Donald Trump speaks after he received a briefing on border security near the Rio Grande in McAllen, Texas, Jan. 10, 2019. 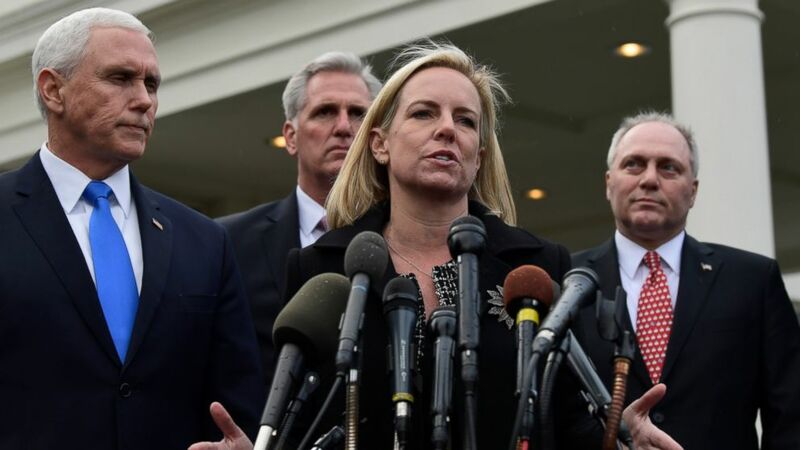 (AP) In this Jan. 9, 2019, photo, Homeland Security Secretary Kirstjen Nielsen, second from right, standing with, from left, Vice President Mike Pence, House Minority Leader Kevin McCarthy of Calif., and House Minority Whip Steve Scalise, R-La., speaks to reporters following their meeting with Democratic congressional leaders and President Donald Trump at the White House in Washington. 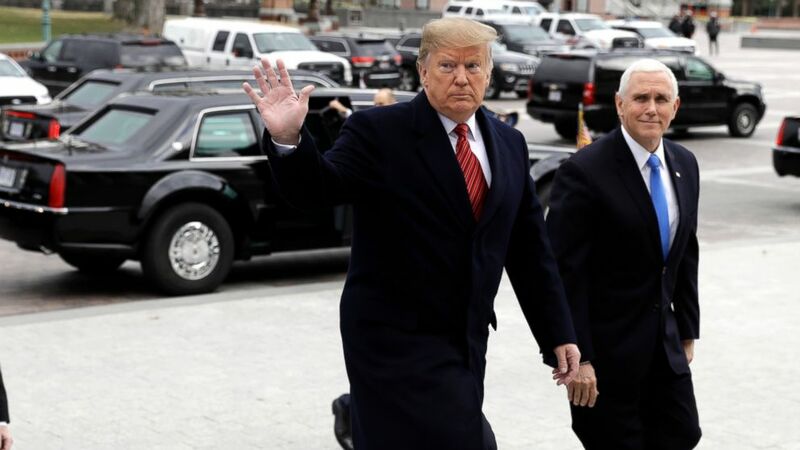 (AP) In this Jan. 9, 2019, photo, President Donald Trump arrives with Vice President Mike Pence to attend a Senate Republican policy lunch on Capitol Hill in Washington.